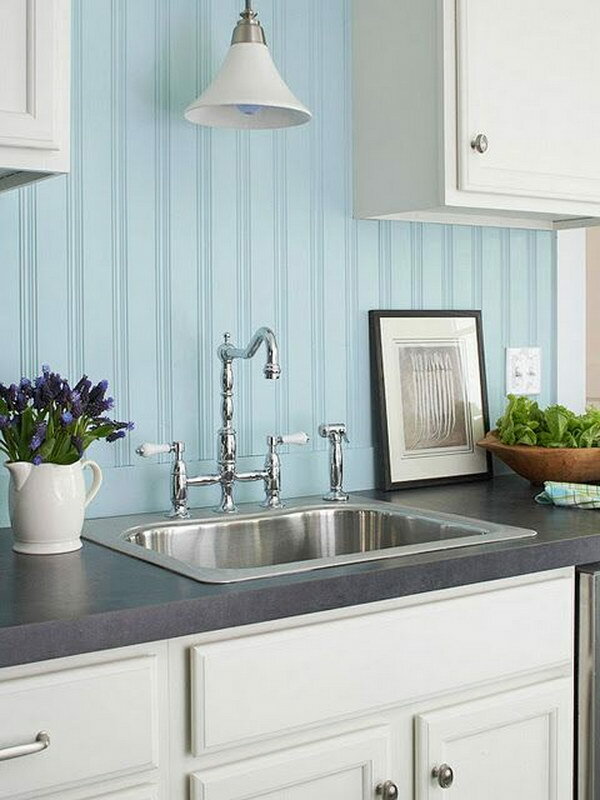 A kitchen backsplash is a lot more than just a background. It sets the tone for the kitchen design, and it can even make a huge difference in practical terms. 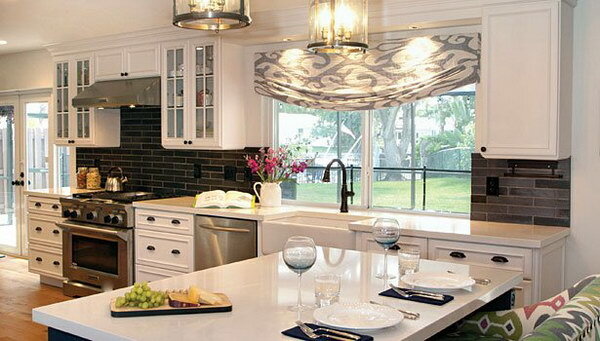 With that in mind, you need to pay special attention when choosing a backsplash for your kitchen so that it matches – or at least doesn’t clash with – your furniture and countertop and you end up with a kitchen which not only looks good, but is also a joy to cook and even eat in. Would like a plan? 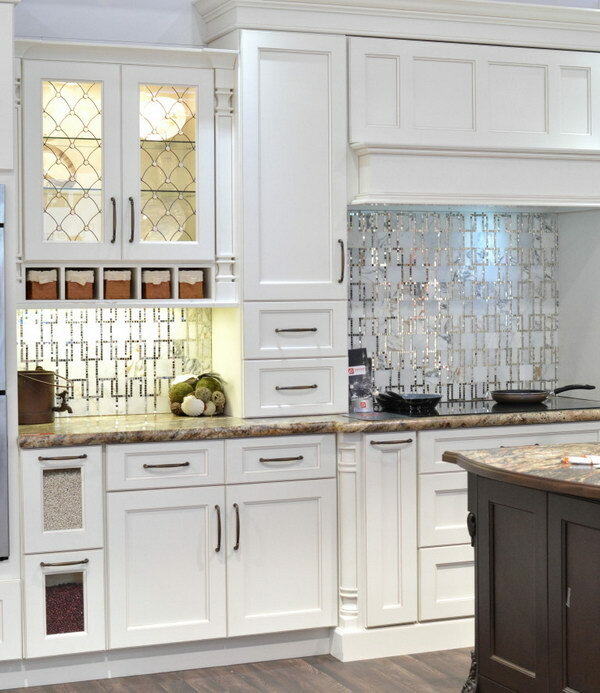 Then scroll through for some great Kitchen Backsplash ideas. Light, airy furniture is very trendy in kitchen design at the moment, but it can easily get lost if everything surrounding it is equally light and simple. A dark, geometric background will add much needed contrast and texture to this kitchen design, so that your pristine cabinets stand out even more. Via thayray. It may happen, however, that striking contrasts don’t really suit your taste, in which case you can opt for subtle color contrast, focusing solely on texture, like in this fantastic design. 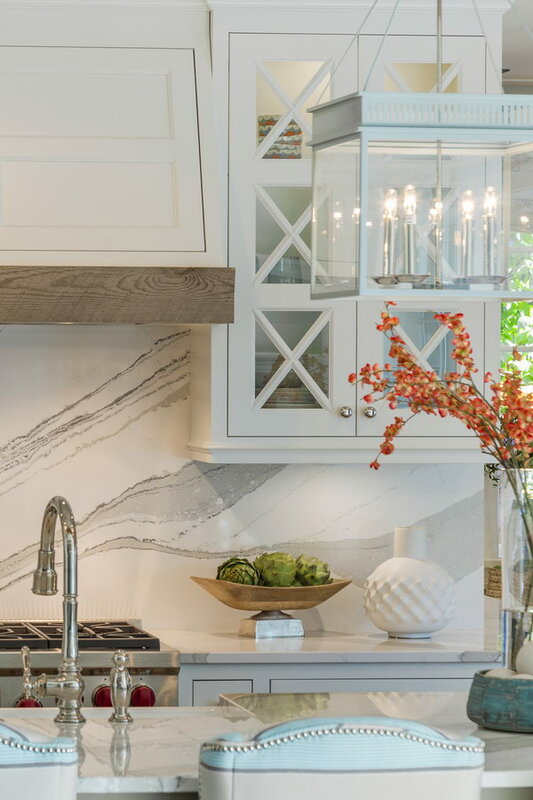 This backsplash also has the added benefit of allowing you to choose more detailed complementary pieces such as the countertop, for instance, which is great for those who love detailed marbles. Via houzz. Marble has a beautiful, subtle texture to it which makes it a top choice for countertops, along with its strength and durability. 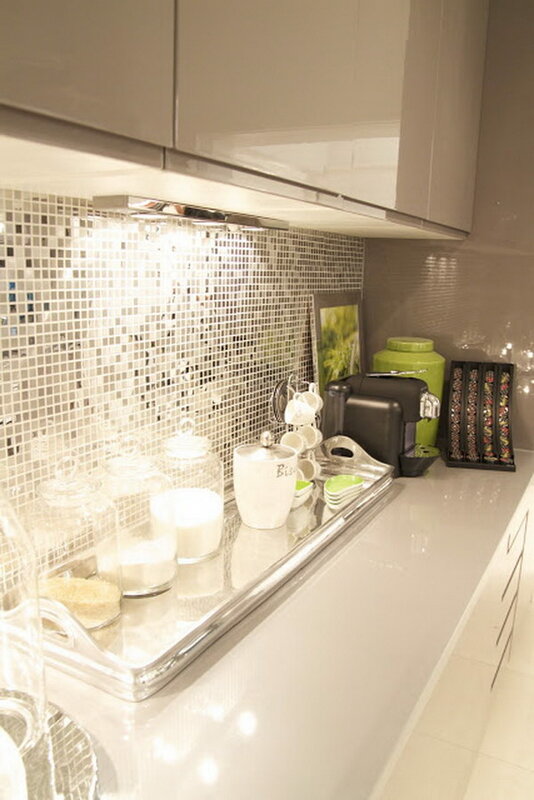 These same qualities also make it a fantastic backsplash option, though it will likely be more costly than tile. To make your kitchen have a cohesive, soft appearance, you can actually match this backdrop to your countertop, and finish off with cream or peach colored cabinets, which will complement it to perfection. Via hgtv. This backdrop represents a very modern approach to kitchen design, and definitely not one for the faint of heart, as it not only plays with color but also texture. 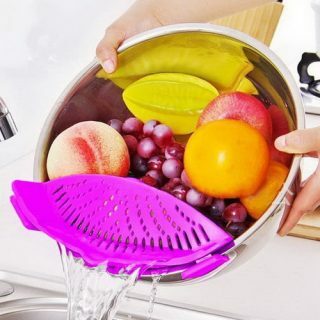 It may get tiring and not be the easiest to maintain either, but it goes really well with chrome appliances and very graphic, monochromatic furniture, which has been trendy for the last few years. Via dustjacket-attic. 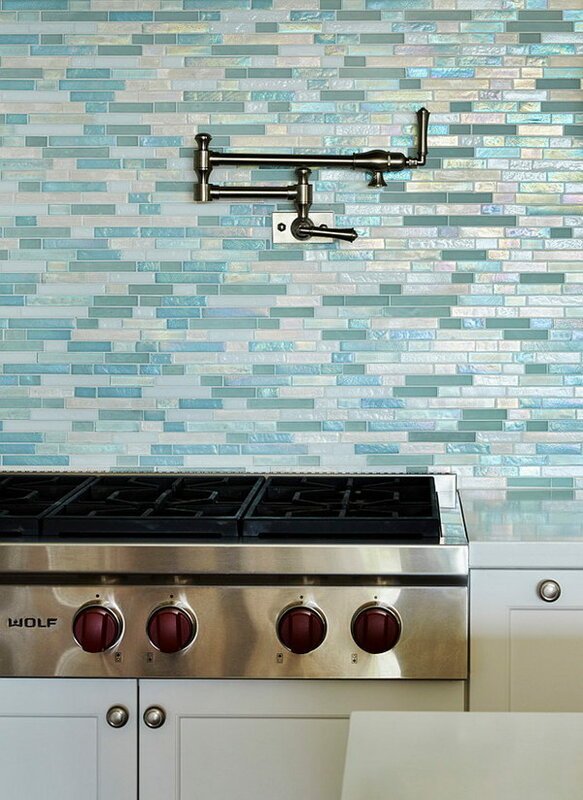 This backsplash obviously lends itself to a very specific design, meant to emulate that of a beach or summer home. While the pop of color may seem like something that would only look good in the warmer seasons, it can work equally well all year around if paired with simple, light furniture and counters, as well as with neutral surrounding walls and ceiling. Via homebunch. 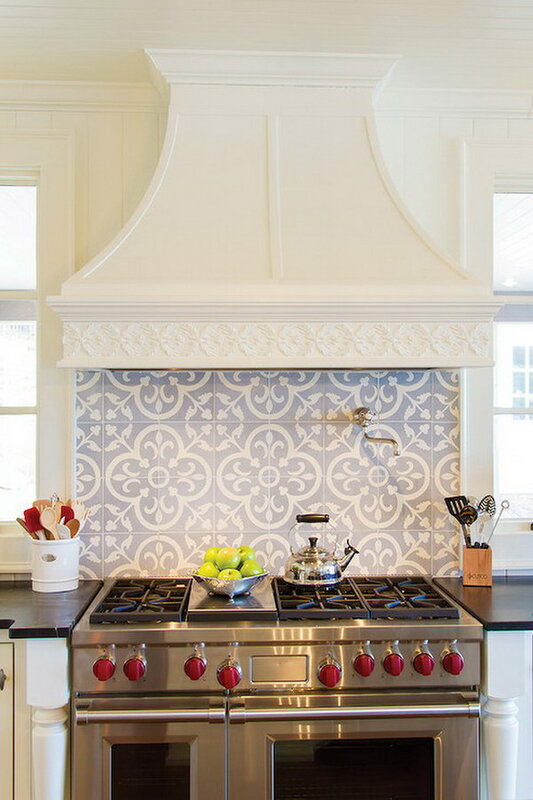 This tile backsplash makes a bold statement thanks to its unique pattern. However, it can easily look tasteful and classic if paired correctly. Monochromatic furniture and appliances in contrasting hues are the key to style this correctly, especially if you match it to a shiny, black countertop which will certainly make it pop. Via granitetransformations. 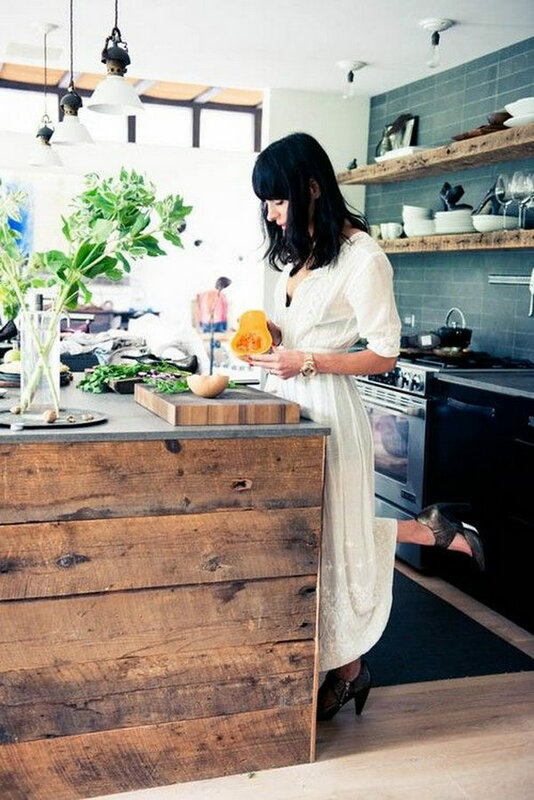 This is certainly not the most practical of kitchen design, but it is one of the most beautifully striking. The cream colored furniture really complements the mirrored backdrop, while the gloss countertop adds shine without competing for attention. The mirrored backsplash might get blinding and full of fingerprints, but at least the gloss furniture will always be easy to wipe down in a pinch. Via madivacreative. 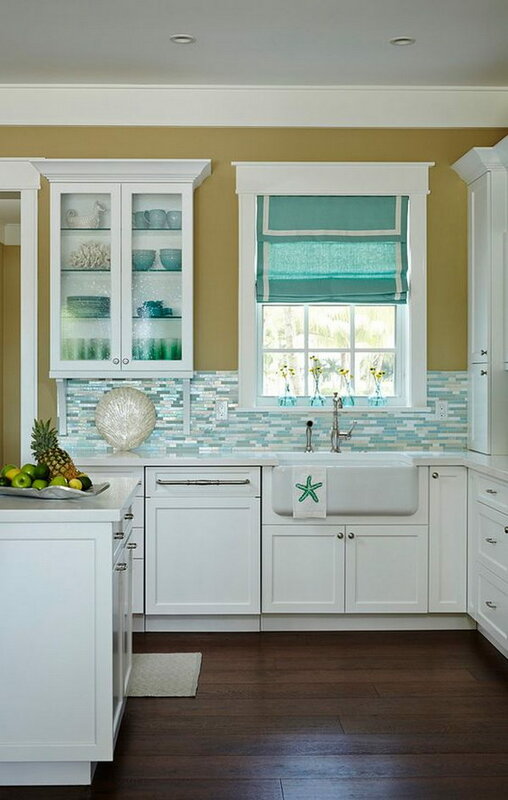 This is another backsplash that definitely brings a pop of color and detail to your kitchen, that’s no reason to be intimidated, as the soft yet fun color and texture can be quite versatile. In fact, the color is even muted enough that you could match your backsplash and furniture and it would still look tasteful. If that is too much green though, this backsplash can also look equally great against cream colored or even wood furniture. Via housebeautiful. 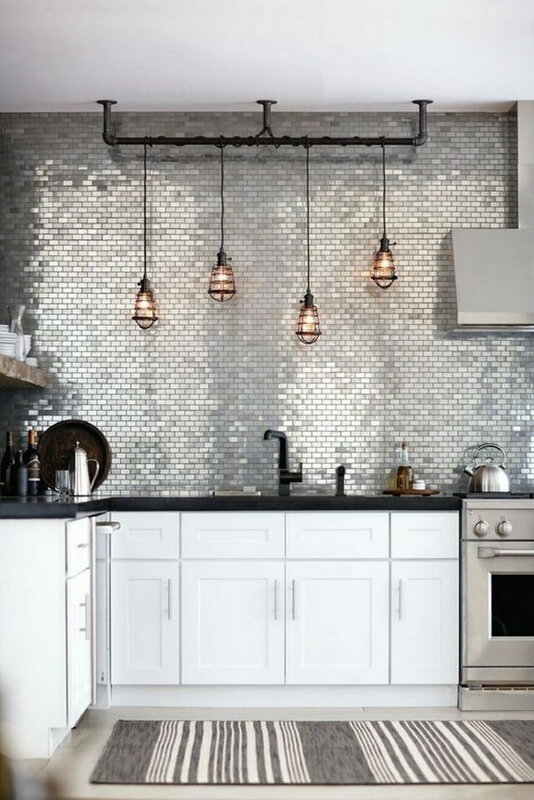 Metallic, statement backsplashes are quite trendy at the moment. This is, however, a different approach as the metallic element is in the texture instead of the background, adding an edgy yet somewhat softer shine to the design. As most metallic backsplashes, this looks great with stainless steel appliances, but it also allows for a detailed countertop. 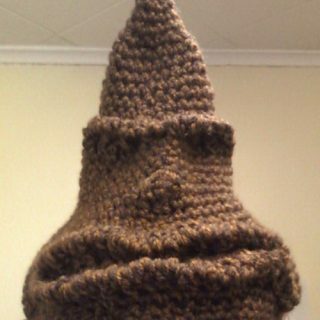 Via centsationalgirl. Having a bold print as your kitchen backsplash is a classic yet still bold choice. Marble is a premium material, but it’s also one of the most durable and easy to maintain. All in all, having your backdrop as focal point is a great way to add interest to an otherwise bland kitchen design, so this is perfect if you’re going for simple furniture and appliances. Via houzz. 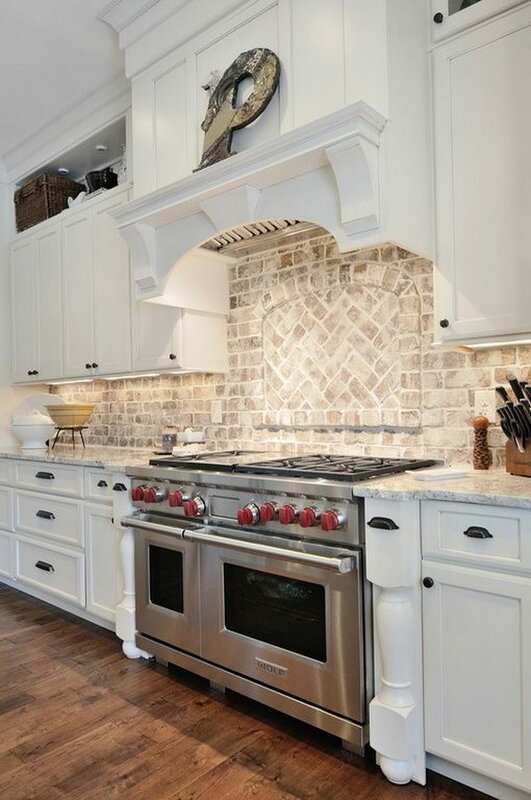 This artistic patterned kitchen backsplash is the epitome of elegance and sophistication, even though the pattern is quite bold and attention-grabbing. The stylish pattern elevates tile, a more common material, and it manages to be versatile, thanks to its neutral tones which allow it to look good both with very traditional as well as incredibly modern furniture and appliances. 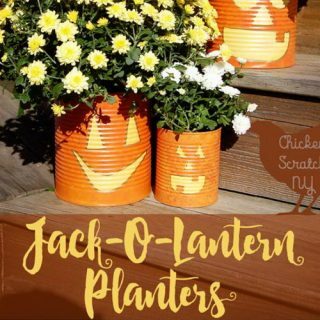 Via birminghamhomeandgarden. 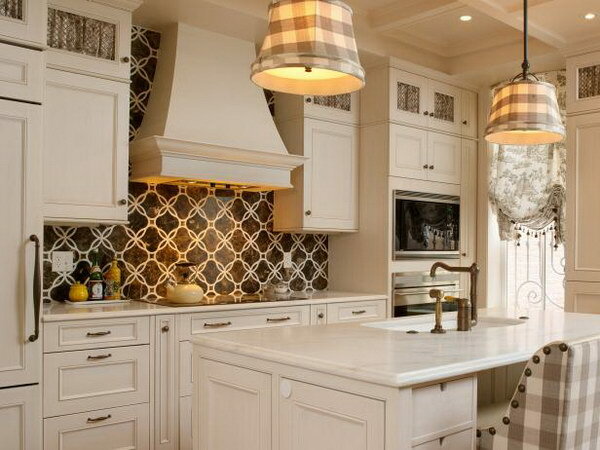 Nothing proves a patterned backsplash can be both modern and elegant as well as this design does. The key is to keep the colors neutral and contrasting and the shape bold and geometric. In this case, light, monochrome furniture is the best companion to the backsplash, which is the focal point, but it could easily be the other way around, were the colors reversed. Via hgtv. 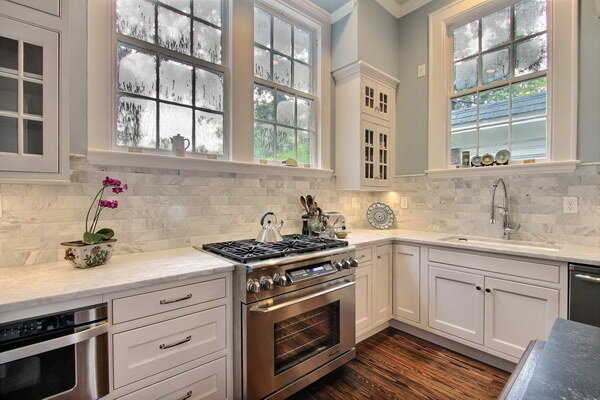 This is another good example of an all-white kitchen with a twist. The pattern adds interest to the otherwise monochrome design, allowing it not to be too impersonal or sterile. The mixture of light and dark countertops and appliances also helps tie everything together seamlessly. Via detalhesdoceu. 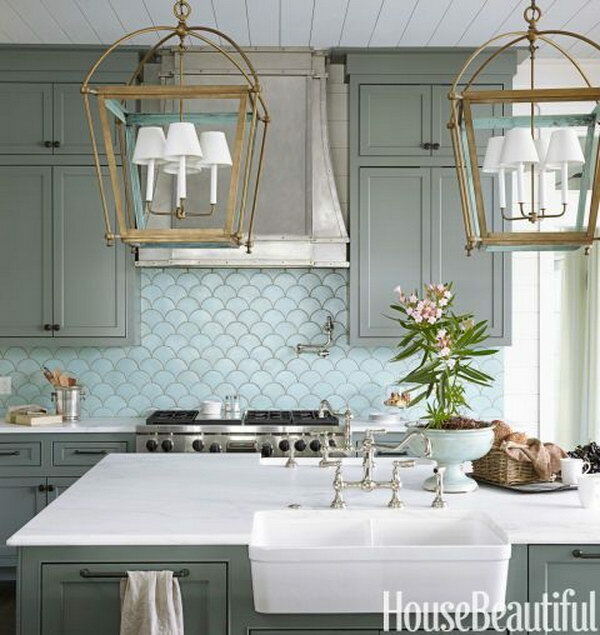 Unlikely as it may seem, the truth is metallic tiles and pastel colors are actually a match made in kitchen decor heaven. The key here is once again to stay within a color palette and let the details do the talking. Via houzz. 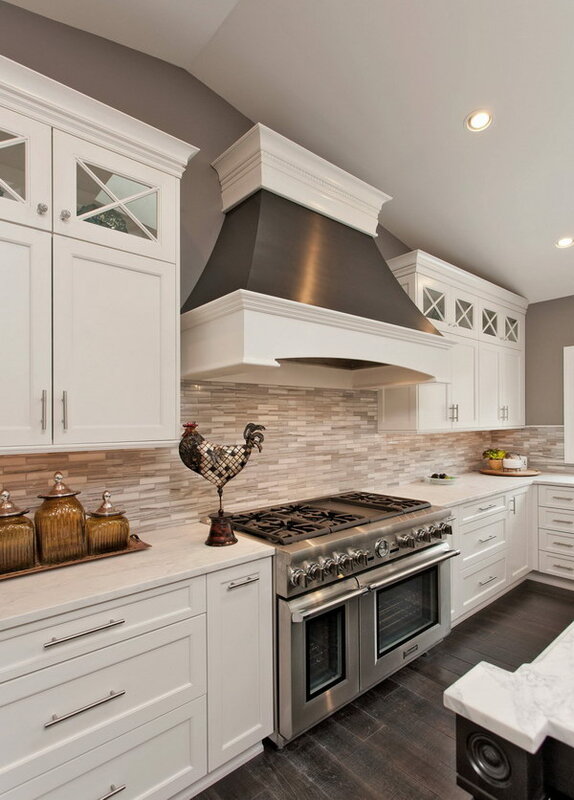 Another great monochrome example, accented by the subtle gray tones of the patterned backsplash. 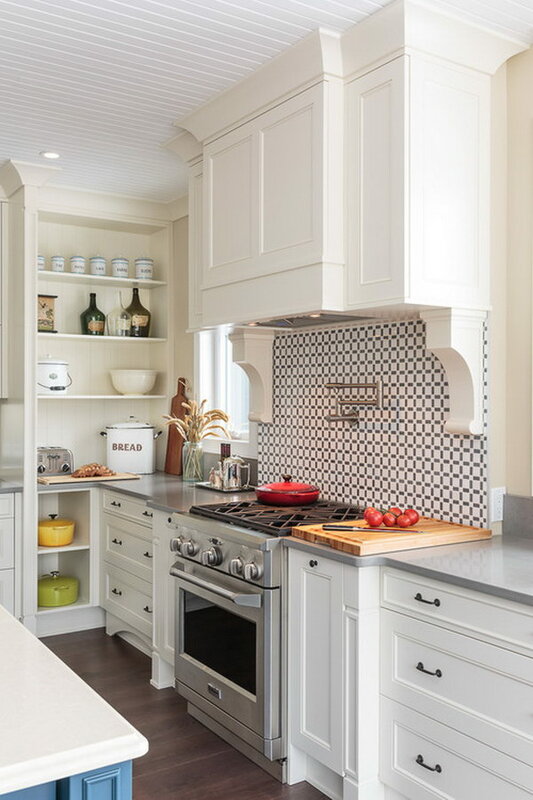 Quatrefoil is a classic pattern which is as much vintage as timeless, and the gray-scale tones will ensure this kitchen will look good for the ages. Via decorpad. 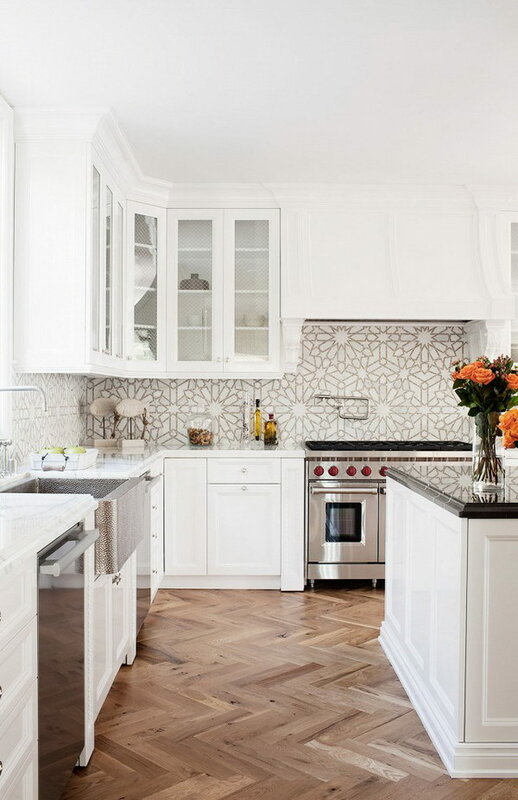 Here’s a good example of how your backsplash c0lor can make as much of a statement as a pattern. 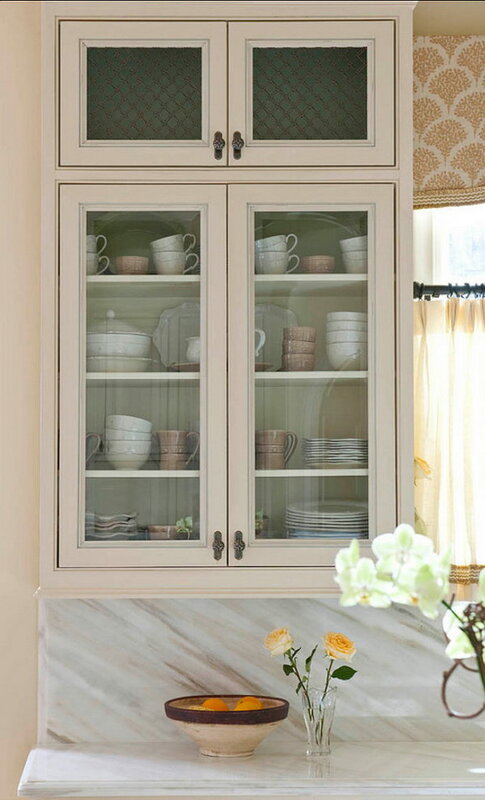 This pale pink is obviously feminine, but not at all offensive, and it gives a striking, yet elegant contrast against the all-white furniture. 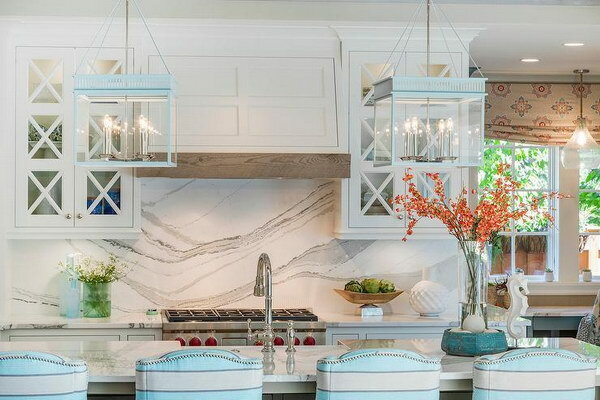 A marble countertop is a beautiful choice against this backsplash, but both a boldly patterned or solid colored one would match as beautifully. Via leahbach. 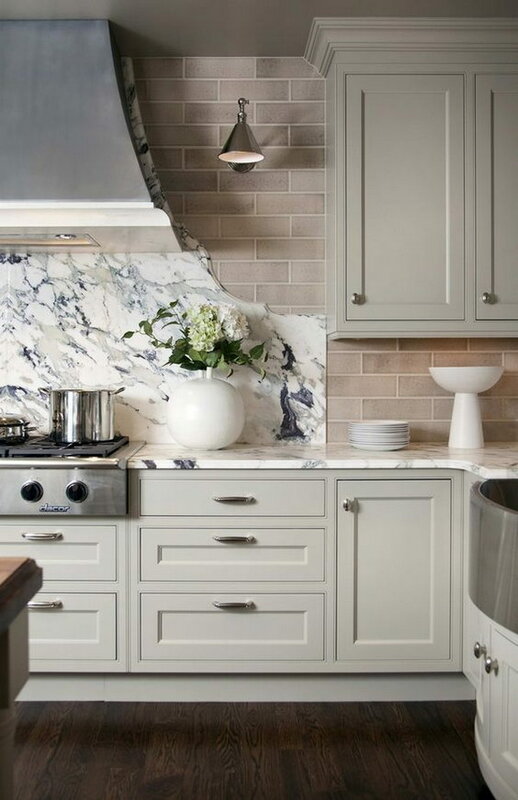 Another great play on the trendy all-white kitchen, this beautiful marble backsplash adds interest while looking artistic instead of too bold and edgy. 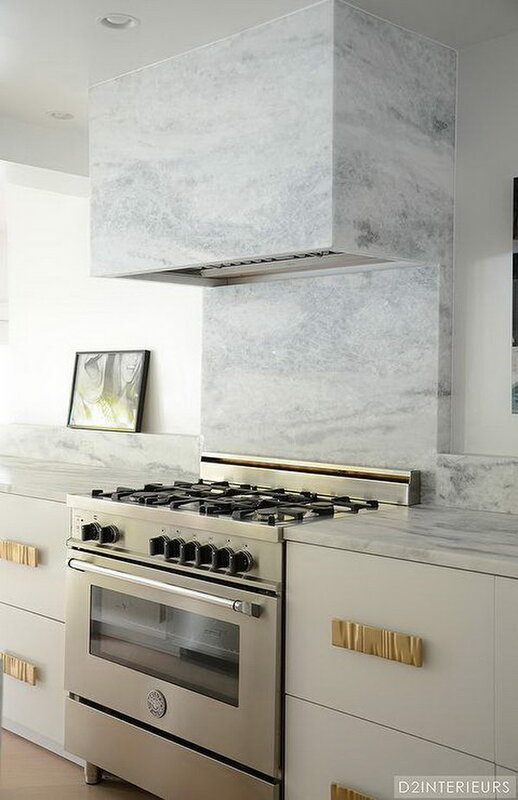 Also, while it may be delicate, marble is also quite forgiving, which is why it’s so popular in the kitchen. Via greatneighborhoodhomes. 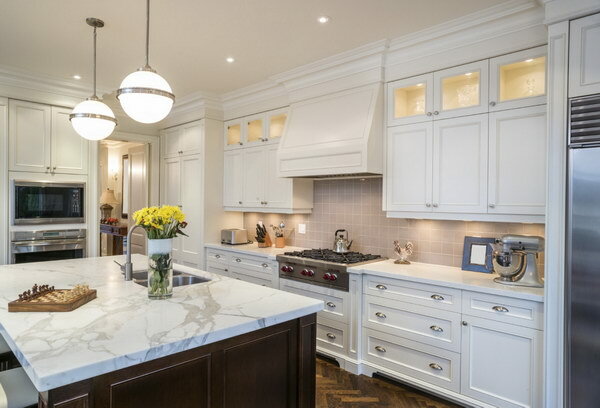 Matching the backsplash and countertops may admittedly not be for everyone, but it is a great way to make the choice easier and ensure they will not compete for attention and give the kitchen a more cohesive look, which is why it is a classic choice. Via source. This may not be the most uplifting of kitchen design, but the gray tiles give a cozy, worn in effect to the kitchen, as well as a somewhat modern yet rustic feel which undoubtedly has its charm. 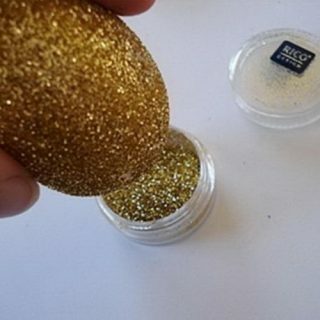 Via lucyandcompanyblog. Another beautiful design which manages to be striking without being too bold thanks to the beautiful textures of the marble stones. This backsplash can be the focal point of the kitchen or blend in as a background, but you can be sure no one will miss the hood. Via decorpad. 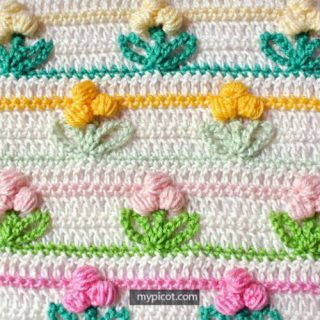 Another unique design which combines color and texture. The exposed brick adds a cozy, rustic feeling to the kitchen which lends itself to be particularly well paired with vintage-looking, solid wood furniture, but won’t clash with modern stainless steel appliances either, making it versatile. Via jennywolfinteriors. Here’s another unlikely combination that just works. 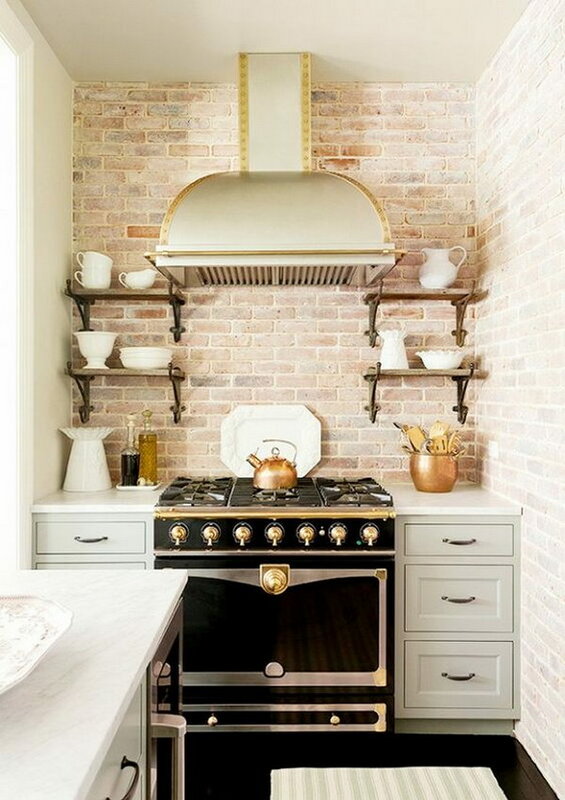 The aged, exposed brick adds interest to the traditional white kitchen by giving it a bit of a ? ?lived-in’ feel. The wood slabs on the floor and the bold countertop complete the look and tie everything together. This is a very different take on brick, as it plays up the texture and pattern more than anything. 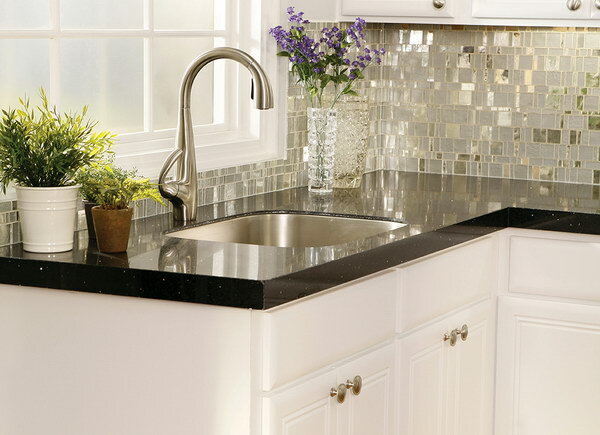 It makes for a beautiful, subtle and durable backsplash for a modern kitchen, but it definitely needs the black countertop and steel appliances to set it off, otherwise it can get a bit lost. Via homebunch. This design certainly plays up the contrasts to perfection, if that’s what you’re looking for. 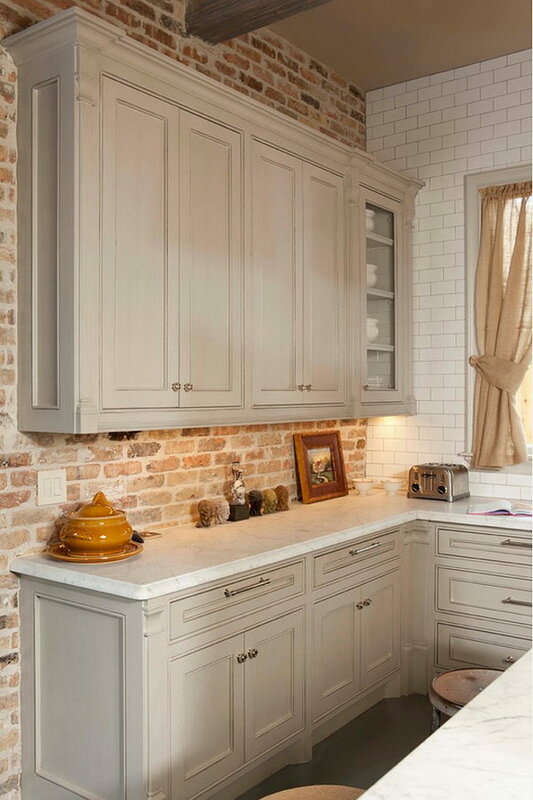 Exposed brick makes for a backsplash which is quite forgiving and easy to maintain, as are the crisp, gray cabinets. 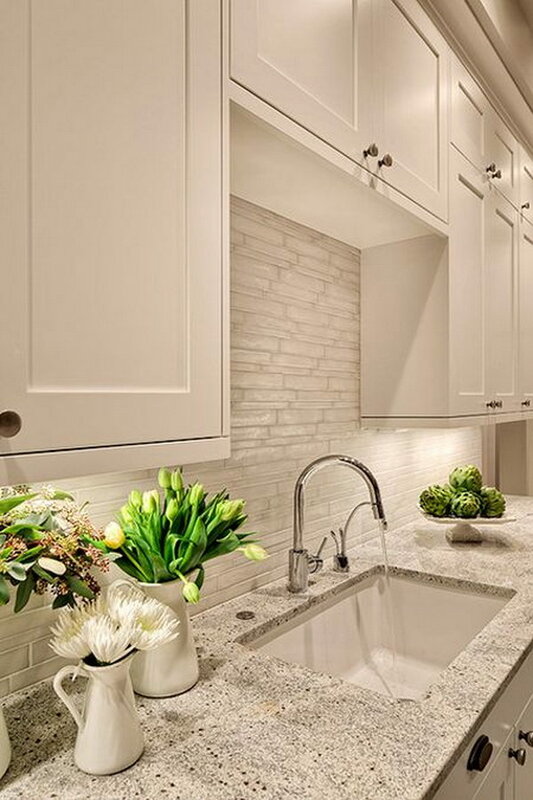 The white countertop complements both to perfection without competing for attention with either one. Via whitestonebuilders. 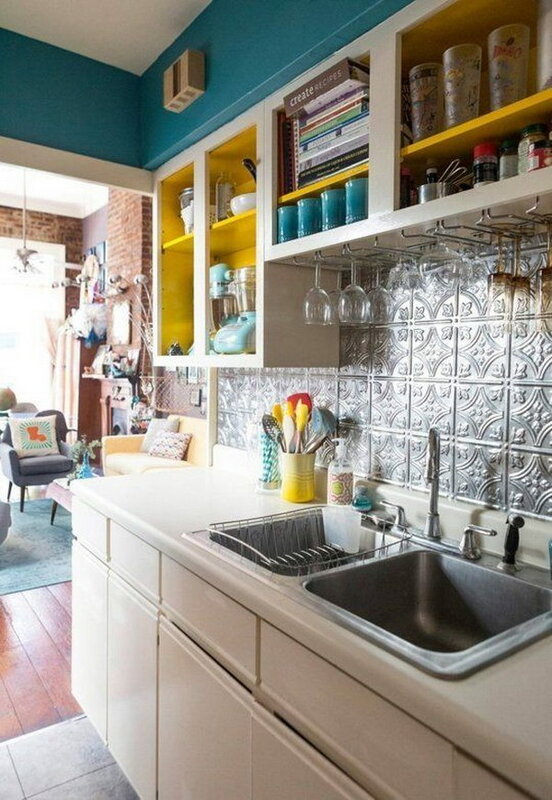 Now this is a truly unique kitchen design where the backsplash has all the room to shine. 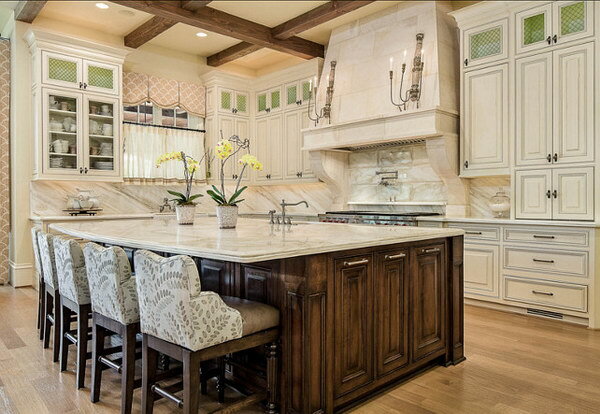 The open shelving not only fully exposes the beautiful backsplash, but it also gives the illusion of a bigger kitchen. 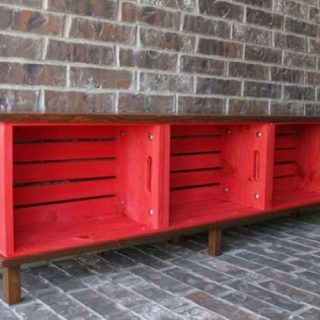 The reclaimed wood itself is also great because it is sustainable and thus good for the environment. 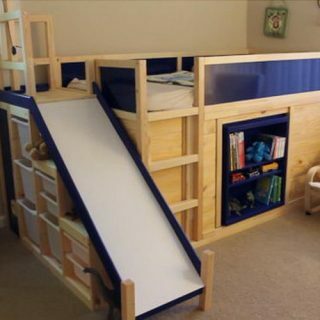 Via mylittlehouse. It doesn’t get any more contrasting than black and white, wood and brick, that’s for sure. 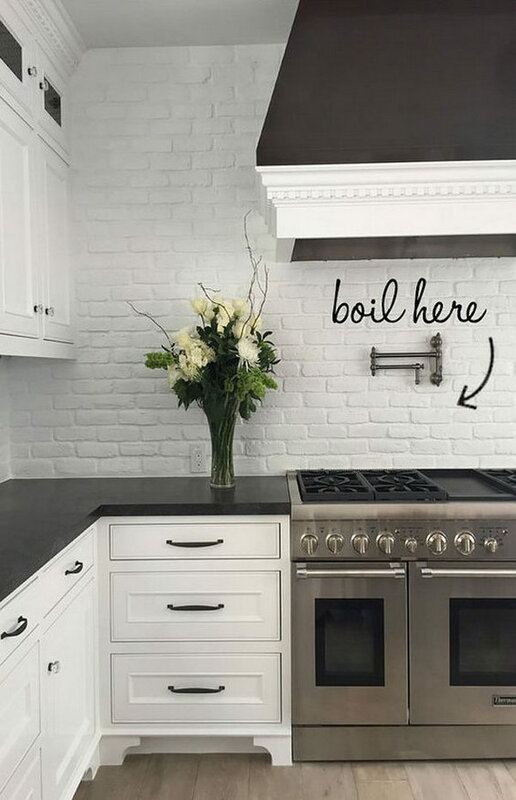 The black backsplash is a great, modern twist to the traditional exposed brick wall, and the gray cabinets give the monochrome effect while not being as stark or as unforgiving as a traditional white kitchen would. 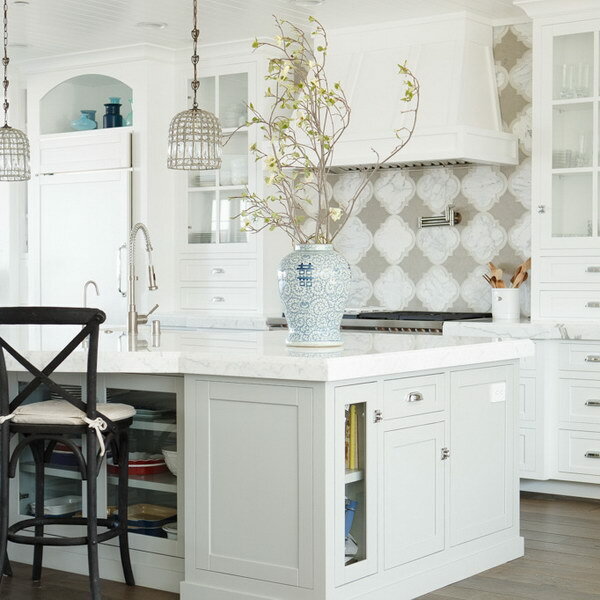 Baby blue may not seem like an obvious kitchen color, but it can certainly prove great as a soft, colorful accent against traditional, all-white furniture. Beadboard is also a great material, because it is affordable, durable and versatile. Add in a darker blue or gray countertop, and your kitchen will be well-rounded but not bland at all. Via ferncreekcottage. 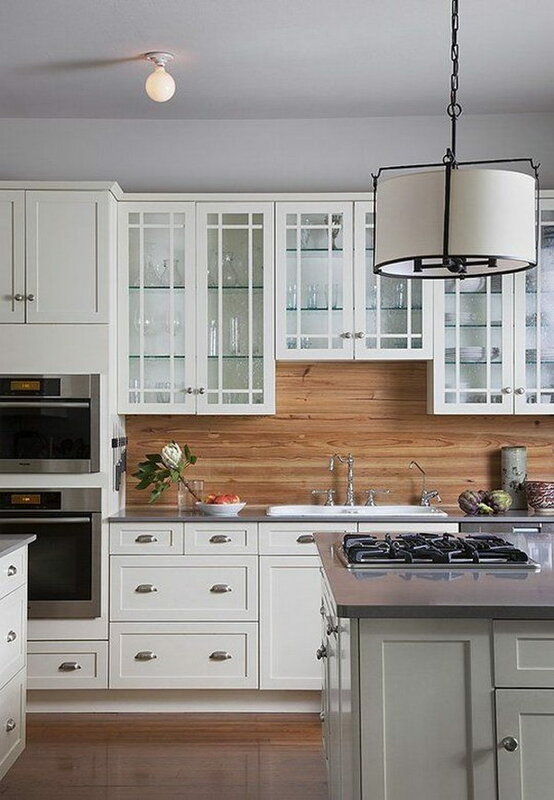 Wood may seem more like obvious furniture than backsplash material, but it can make for a beautiful, rustic kitchen backdrop. In fact, the natural color and texture go particularly well with a traditional white kitchen, as they provide much needed contrast. Via cravottainteriors. Building your own kitchen may not be easy, but it is a great way to ensure your vision will come to reality. 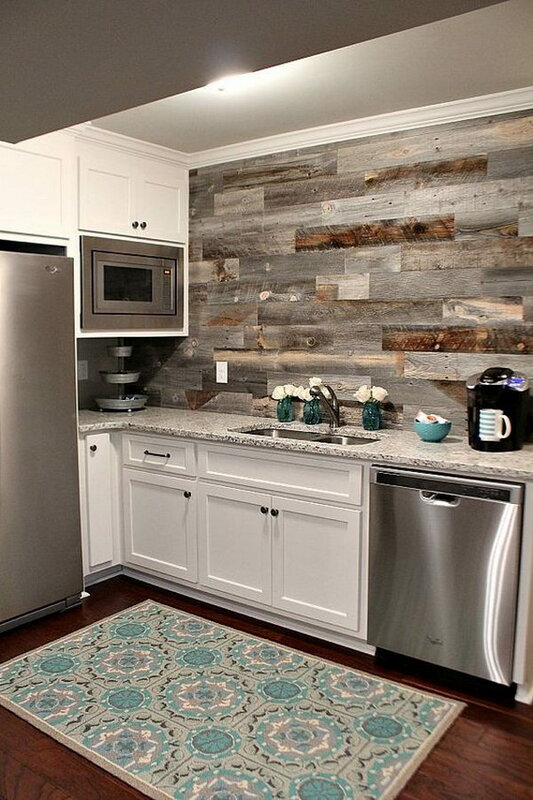 It also allows you to choose and repurpose materials such as this weathered wood, which makes for a stunning basement kitchen backsplash. 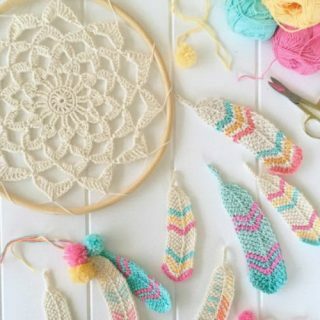 Check out the tutorial via refreshrestyle. This last idea isn’t for those who like to play it safe, but it does make for a stunning kitchen design. 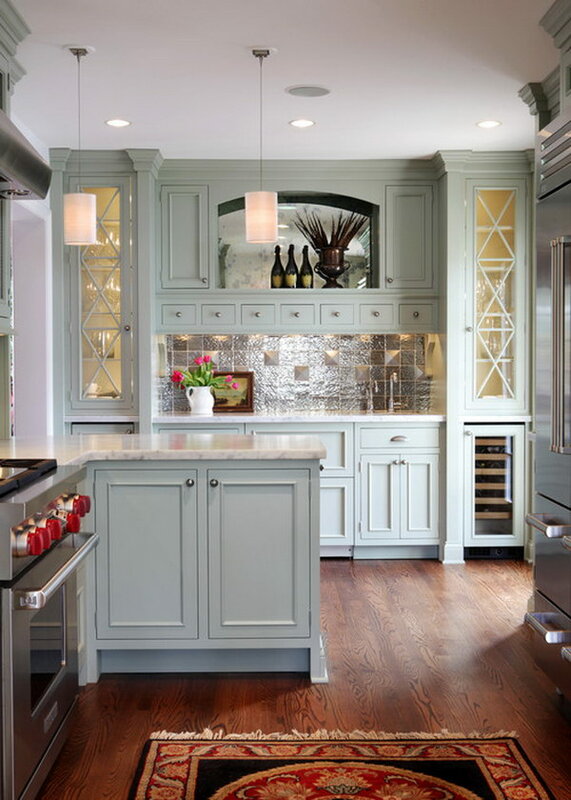 The ceiling style backsplash adds a little more interest and detail to the bright, solid colors of the cabinets without actually competing too much with them. To round it all up, make sure the countertops and furniture are on the neutral side, or it might become too much. Via apartmenttherapy.